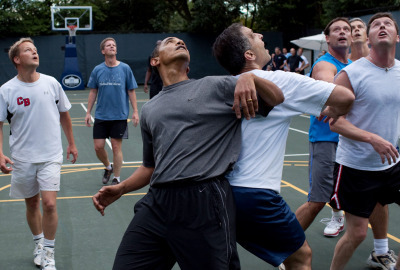 As many of you know President Obama got game and takes the sport really seriously… He balls hard and took an unfortunate hit, I’m sure he will be back in no time as he truly loves the game. No blood No foul! Obama received the stitches under local anesthesia in the doctor’s office on the ground floor of the White House after returning home. Doctors used a smaller filament than typically used, which increases the number of stitches but makes a tighter stitch and leaves a smaller scar. 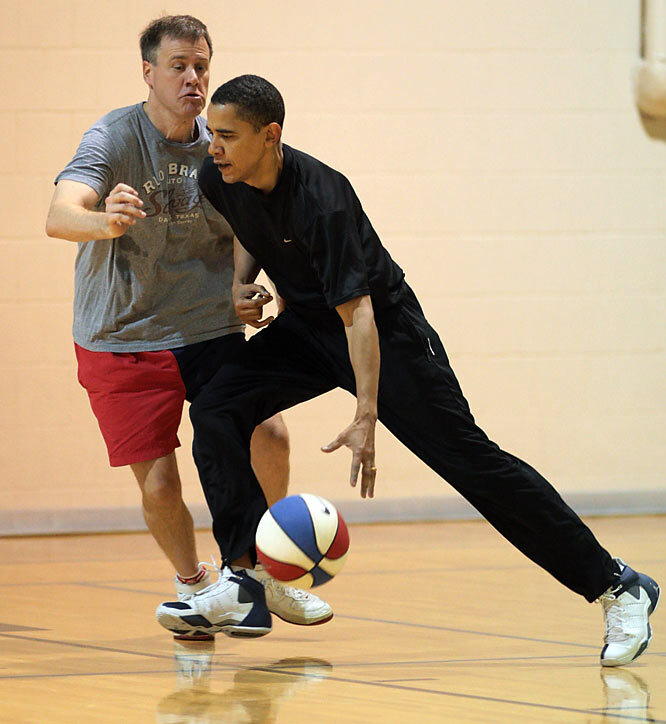 The president had gone to nearby Fort McNair to indulge in a game of basketball, one of his favorite athletic pursuits. It was a five-on-five contest involving family and friends. 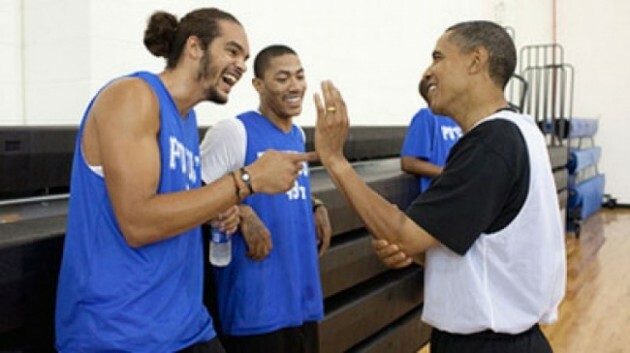 Among the players were Obama’s nephew, Avery Robinson, Education Secretary Arne Duncan and Reggie Love, Obama’s personal assistant, who played at Duke University. “After being inadvertently hit with an opposing player’s elbow in the lip while playing basketball with friends and family, the president received 12 stitches today administered by the White House Medical Unit,” Gibbs said. Obama’s motorcade obeyed all traffic stops, the custom for nonofficial trips, during the return to the White House. His stitched lip, however, could make for some interesting small talk on Tuesday, when Obama is to meet with the congressional leadership. The session originally was announced for Nov. 18, but was delayed after Republicans, who will control the House and increase their numbers in the Senate come January, said they couldn’t accommodate the president.